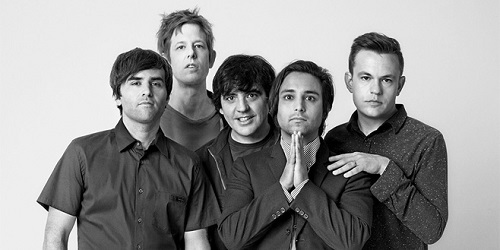 Spoon came to life in the mid-90s in Austin, Texas, making hay out of the Pixies/Nirvana template, which of course quickly led to an ill-fated major label dalliance that threatened the band’s very existence. 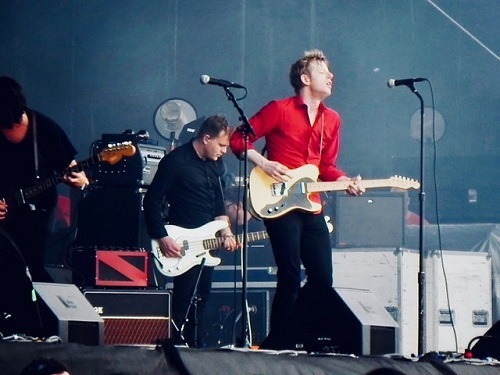 Deliverance came in the form of buckling down to writing songs, and a fateful connection with Chapel Hill’s Merge Records, and Spoon transitioned into a sharp, minimalist outfit, bursting with hooks, rotating around the partnership of Britt Daniel and Jim Eno. Over the course of a handful of records, they carved their own niche in an insular world, helping define Indie in the new century. As they grew and found their own voice, they stripped it all the way down and rebuilt, leaving the skeleton exposed, as it were, and using tiny sonic details to jarring effect, while incorporating influences ranging from Krautrock to Motown. Idiosyncratic to a fault, it leaves us to choose not as much the greatest, as the Spooniest, if you will. Don’t Buy The Realistic kicks off Telephono, and our little adventure, with a fade in that slowly focuses the noise, resolving in what would come to be a signature guitar line. Despite its obvious influences, the nascent stylistic quirks of the band are in evidence as well: the sinuous guitar lines that take unexpected turns, and Britt Daniel’s passionate engagement. Released in 1996, it had Matador Records written all over it, a topic which we’ll return to a little further down the road. A Series Of Sneaks marked their sole expedition into major label land, and the band delivered the goods, with Jim Eno establishing himself as the band’s secret weapon, and our playlist pick is one of the foremost entries in the Spoon elliptical song title brigade, Quincy Punk Episode, a master class in churn and burn. Limbo beckoned as reorganization at WEA left the album for dead, and Spoon retreated. In a grand case of lemons into lemonade, Spoon distilled the essence of their major label experience into The Agony Of Laffitte, a brutal poison pen letter to their ex-A&R rep, released as a single on Saddle Creek in 1999. B-side Laffitte Don’t Fail Me Now continues the cold vein, pouring the bile over a guitar-driven shuffle spiked with a Byrds-ian riff, congealing into an indie Positively 4th Street. Both songs were later appended to reissues of A Series Of Sneaks. This era in band history was marked by Daniel regrouping and working day jobs, putting in the work and coming up with Girls Can Tell, which began a long association with Merge Records, and a subsequent elevation in profile that the majors couldn’t deliver. Track for track, one of their strongest efforts, with lead cut Everything Hits At Once encapsulating a bittersweet dynamic where all the different pieces coalesced into the ‘classic’ Spoon sound that they would push and pull and twist at for the next decade plus. Kill The Moonlight followed in 2002 and production-wise it was the band pushing the limits, seeing just what this beast could do on the open highway. Amidst peaks and valleys, it offered up a bona fide anthem in the form of The Way We Get By, driven by a simple piano figure, before unspooling into, (up to this point), the most realized distillation of Daniel’s vision to date. 2005’s Gimme Fiction upped the ante with I Turn My Camera On, wherein Daniel rocks out the Jagger falsetto to maximum effect, and the sonic details are fine tuned, i.e. the speaker cone ripping noise just past three minutes that makes me grab my headphones to this day. Gimme Fiction matches Girls Can Tell in depth of songs and sets the way for 2007’s Ga Ga Ga Ga Ga, the LP where everything touched turns to Spoon. It seems spartan and propulsive on first take, but subsequent listenings reveal the inner workings. Their video for The Underdog is a great display of all the beneath-the-surface elements of the song, and I’ve always taken the video itself as a sly homage to the continous tracking shot that opens Orson Welles’ Touch Of Evil. 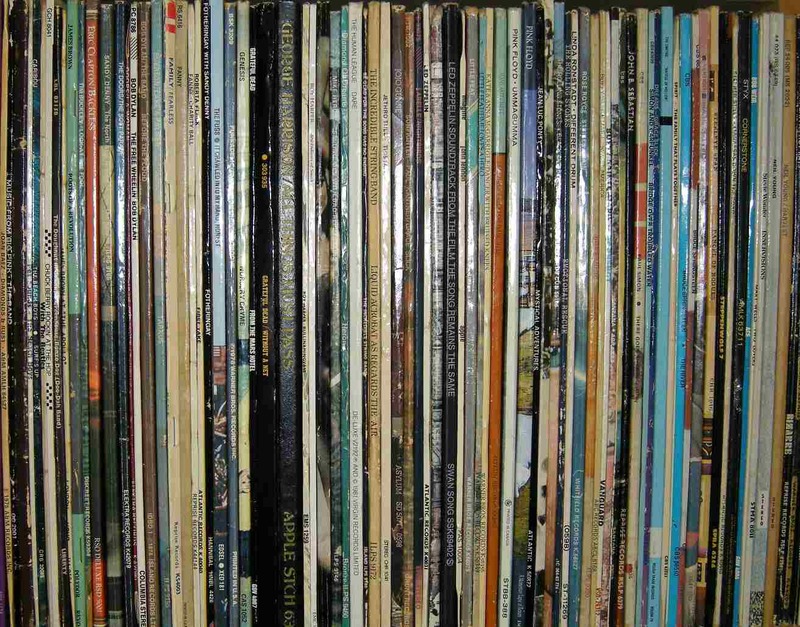 Ga Ga Ga Ga Ga is an embarrassment of riches, with almost half of it on the original long list, Full disclosure: for some reason, the grooves on this record perfectly fit the strut of my late dog during evening strolls, and became the de facto dog walking soundtrack for years. 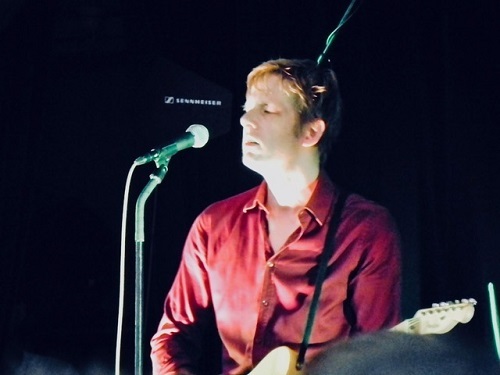 It would be three years before we heard from Spoon again, but on Transference, everything was tightened up and snarling, nowhere more so than Written In Reverse, featuring an off-kilter piano intro with shards of guitar and a classically elliptical Daniel opening line: “I’m writing this to you in reverse, someone better call a hearse”. The live-in-studio take on “Reverse” below, captures the live ferocity of the band up close, and as always, it’s instructive to see up close just how the parts fit. Transference turned out to be Spoon’s swan song with Merge, neatly capping the decade. Taking a break from the Spoon cycle, Daniel teamed up with Dan Boeckner (Wolf Parade/Handsome Furs/Operators) and Sam Brown (New Bomb Turks) to form Divine Fits, whose sole LP was 2012’s A Thing Called Divine Fits. 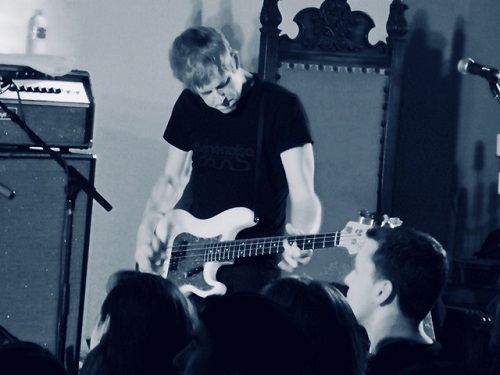 2014 saw Spoon re-engaged, now with Loma Vista, and that album’s title track, They Want My Soul, found Daniel back in prime form, throat-shredding vocals and frenetic guitar to the fore. More than 20 years after Telephono, last year’s Hot Thoughts brings us full circle, with the band back on Matador Records and once again pushing their sonic limits. Do I Have To Talk You Into It is the latest embodiment of their searching nature, incorporating electronic elements into the tried and true battle of tension and release that approaches the grandeur of “Kashmir” at its peak. It’s a fitting tribute that a band at this point in their existence could have limitless horizons, and perhaps their best work still in front of them. Wayne Jessup (@waj1) can be found at The Owl Mag and Burned All My Notebooks. He has written on Mission of Burma and Fugazi for this site.